Pains on the neck are very common occurrences in the human body and are often caused by poor posture and stress. On the other hand, should pains are any form of pains that occur around or in the human shoulder. 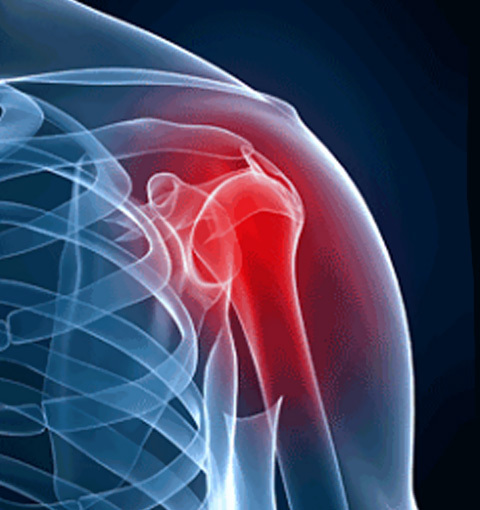 Pains on the shoulder may arise on the shoulder joints or from the surrounding muscles, tendons or ligaments. However, neck pain or shoulder pain may occur due to other potential causes. Pain along the shoulder worsens when movement are strenuous activities are present in the shoulder or the arm, though some of these causes may not be classified as serious causes. For instance, overexertion or simple muscle strain may create some discomfort along or in the neck. On the contrary, other causes of pain in the neck and the shoulder may be classified to be more serious. For instance, neck pains can occur due to the present of underlying diseases that may tend to wear down the human neck due to an abnormal configuration in the joints and bones of the neck or by tumors. Sudden severe injuries caused by road accidents or serious falls may also lead to neck pains. In the case of a shoulder pain, a disorder caused by the rotator cuff may result in weakness in the joints and pain in the entire shoulder. Carrying out everyday activities such as tucking the shirt, combing the air or even brushing the tooth may be impossible or one may generally feel uncomfortable. The Pain Clinic surgeon runs several tests in order to diagnose the cause of shoulder or neck pains. The tests chosen by the surgeon usually depends on what part of the neck they intend to examine and the existent problems that they suspect. For instance, an X-ray test may be carried out in the area of pain in order to do an examination of the bones and rule out problems that are related to tumors. X-ray tests help in the examination and detection of the presence of broken bones, arthritis, slipped discs and other issues that relate to pain of the bones around the neck. Magnetic Resonance Imaging (MRI) helps doctors to examine the nerves around the neck thus help them to carry out a successful diagnosis of pain that result from damaged or torn tissues. A myelogram may be used in the case where a MRI cannot be carried out on a patient or when a more detailed view of the verves is required after an MRI performance. The myelogram involves an injection process where contrast material is embedded into the column of the spine. This scan can be used to diagnose herniated discs, tumors, inflammation and other problems that may exist in the spinal cord. Another tool that can be used by doctors in the diagnosis of neck or shoulder pain is the electrodiagnostic studies. This tool discovers abnormalities in the neck region by analyzing electrical activities in the muscles of the body. Generally, they are used in the determination of issues related to causes of numbness and tingling in the shoulders and limbs. The treatment process of neck pain is entirely dependent on its diagnosis. Minor issues on the neck such as inflammation and overexertion are always treated easily using some heat or ice. Mild pain killers such as naproxen, ibuprofen or even a Tylenol can aid in easing discomfort of minor shoulder and neck injuries. Doctors may as well prescribe stronger drugs such as antidepressants and muscle relaxants if they have a feeling that other drugs are not effective. For the purposes of alleviating pain from arthritis, corticosteroid injections may be used while physical therapy can be significant in the case of other injury types. Most importantly, extreme cases such as nerve problems, tumors or spinal cord issues require surgery.